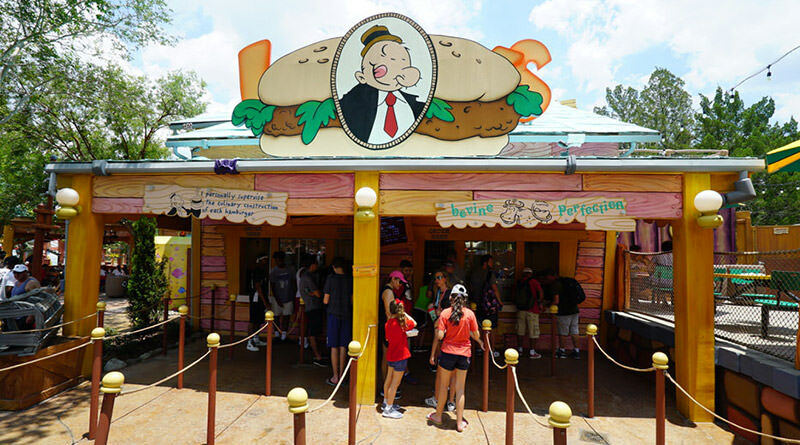 Toon Lagoon doesn’t have a lot to offer in terms of unique dining, but Blondie’s: Home of the Dagwood features some of the most delicious sandwiches in the park. 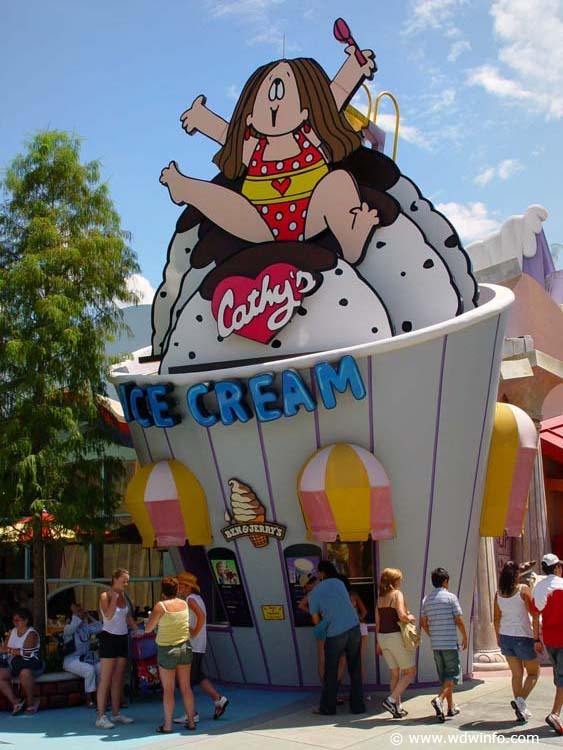 Cathy’s Ice Cream is a good stop, because it actually serves Ben & Jerry’s and Comic Strip Café is a typical theme park restaurant, along with Wimpy’s whenever it is actually open. 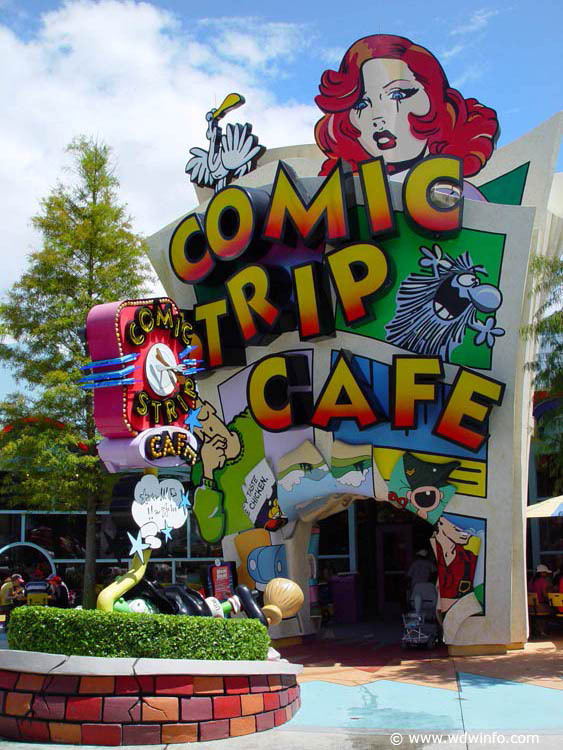 Comic strip characters come to life on the walls of this restaurant that serves a wide variety of food from Asian to Italian dishes and classic fare such as fried chicken, fish and chips, hot dogs and burgers. Cathy’s Ice Cream is a nice place to cool down in Toon Lagoon without getting soaked with the help of Ben & Jerry’s ice cream, sundaes and shakes. 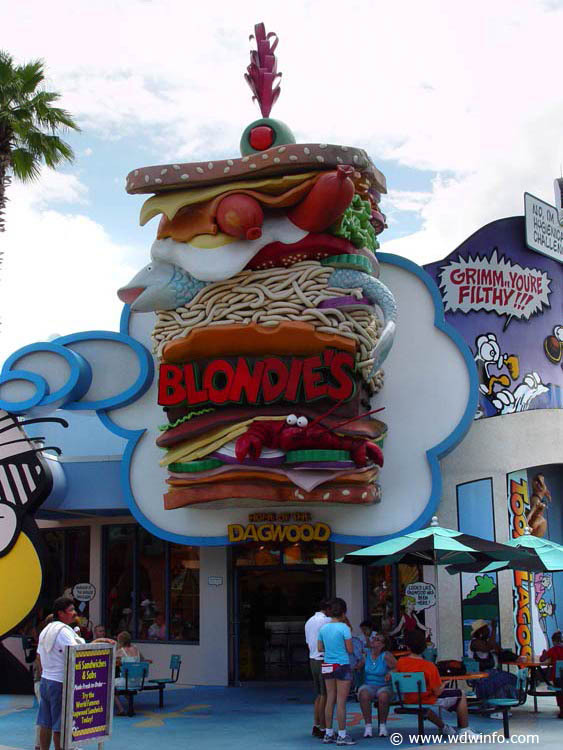 Blondie’s is home to all sandwiches, but the main reason to stop here for a bite to eat would be to get the classic sandwich that is in the name – the Dagwood. 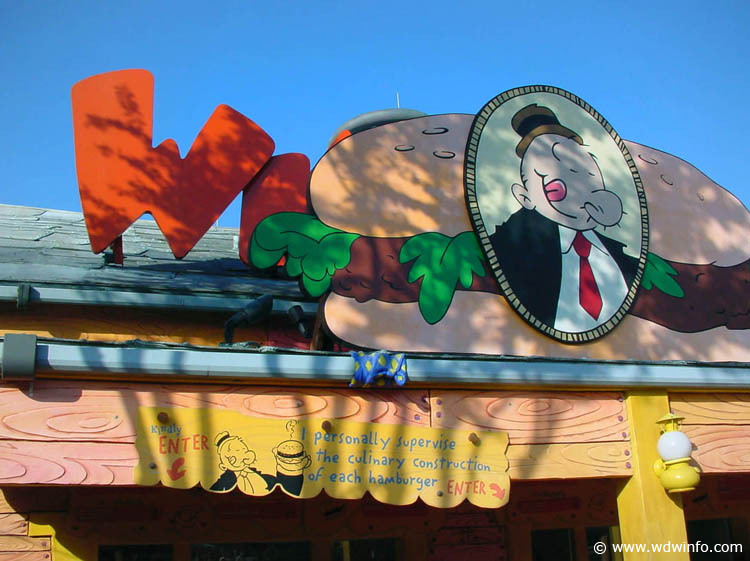 Wimpy prides himself as a hamburger connoisseur extraordinaire so expect to find hamburgers, double cheeseburgers, chicken fingers, chili dogs and chicken wraps at this joint.